Southwest Airlines is an air transport company located in Dallas, Texas. It provides air services across more than 100 destinations inside and outside the United States. 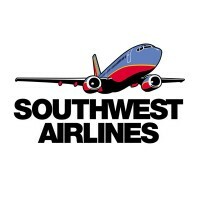 It was founded by Rollin King and Herb Kelleher in 1967 under the name, “Air Southwest Co.,” which later changed to Southwest Airlines Co. However, it was not until 1971 when the airline had its first flight. After about 50 years of service, the company now has more than 56,000 employees and served around 120 million passengers annually. In 2014, they won the 9th place in Fortune’s list of World’s Most Admired Companies of 2014. There are many benefits waiting for future employees, like medical, dental, and vision coverage, as well as disability and life insurance. They also provide a 401(k) plan and unlimited free travel perks. Working in Southwest Airlines is rewarding, thanks to its countless benefits and great pay. The environment is fast-paced because of the demand for its services, yet fun to work at. How old do you have to be to work at Southwest Airlines? Those who are planning to apply for a position in the company should be of legal age, or at least 18 years old, by the time of hiring. The airline company offers various job opportunities, ranging from customer services to engineering-related posts. Listed below are the most common positions made available by the company. Job descriptions are also included for information purposes. Flight Attendant: A Flight Attendant provides excellent customer service by assisting passengers in their baggage and seats and attends to their needs if possible. They are in charge of the food and beverage services and cabin preparation inside the aircraft. They are also tasked to orient the passengers of the safety precautions in case of disasters. Customer Representative: A Customer Representative helps in resolving problems and concerns by the customers via phone calls. They are trained to handle different situations and solve the client’s problems effectively. Applicants will undergo training to provide quality customer service expected by the company. Ramp Agent: A Ramp Agent is in-charge of the baggage and cargo handling. They record the inflow and outflow of the baggage and cargo and make sure that these are safely delivered to their respective destination. They are also tasked with the maintenance of the interior of the aircraft and comfort rooms. Operations Agent: An Operations Agent ensures the guests’ safety by thoroughly checking the balance and weight of the aircraft and providing fuel if needed. They are also tasked with the collection and distribution of weather reports, as well as controlling the boarding bridges for safe embarkation and deplaning. Customer Service Agent: A Customer Service Agent assists the customers before the flight. They are the ones in charge of the issuance of passes to the customers at the ticket counters. They are also responsible for checking in of the passengers before the flight schedule. Provisioning Agent: A Provisioning Agent makes sure that the aircraft possesses all its necessary pieces of equipment and items needed for the flight. The provisioning team will provide the needed supplies and ensure the aircraft’s stock is still complete and accounted for. Cargo Agent: A Cargo Agent is in-charge of the baggage and cargo, as well as freight and shipping services. They make sure that the items are well-handled and safely arranged for delivery. They are responsible for the delivery and pick-up as arranged with the customers. Ground Equipment Mechanic: A Ground Equipment Mechanic is in-charge with the repair and proper maintenance of the equipment and mechanical systems onsite. They conduct diagnostic tests to ensure that the equipment and automotive are working properly to avoid mishaps and determine sustainable solutions to mechanical problems. System Engineer: A System Engineer is responsible for the development of programs and solutions to technical problems and issues. They ensure that the technology used in the company is well-maintained and up-to-date. This is important for a smooth flow of the day to day operations of the company. Pilot: A Pilot is the one responsible for the safe arrival and departure of the passengers or cargo to their own destinations. They usually work with a co-pilot during flights, with each trip ranging from different time duration and various directions. Applicants can browse through their list of available openings and apply online. Interested candidates must first create an account to access the dashboard where they can determine the status of their application. Due to its large-scale operations, applications are mostly accepted online via their career page. Specific contact details like emails are specified to assist applicants should they have some questions regarding the application process. When applying online, you will have to make a job bid, where you get to assert your interest in a particular position. Calls for updates are highly discouraged since the dashboard already shows the status of the job application. In creating the resume, make sure to only add relevant information according to the desired post. If applying for an engineering post, for example, incorporate experiences or educational background related to the job description. Qualified applicants will receive a call or an email in a few weeks for an interview. Phone interviews are conducted first, followed by a face-to-face interview. Expect questions on work ethics and get to know about the company. The airline company accepts employees from different walks of life. They even accept applicants with disabilities or military backgrounds, so long as they are qualified for the position they are aiming for. Southwest Airlines has a lot of socially relevant initiatives. In 2018, they partnered with Hispanic Association of Colleges and University, with the goal of helping Latino students visit their hometowns. The air service company is known for their customer service theme called, “LUV.” Snacks onboard are named, “Love Bites,” and the ticketing machines were nicknamed, “Love Machines.” Even their New York Exchange ticker symbol was named after LUV. They also give back to the community through charity programs. They partnered with American Red Cross to provide aid during disasters, as well as donate and let the employees volunteer. 1 How old do you have to be to work at Southwest Airlines?